After Bobber, Triumph has introduced another motorcycle in the very impressive Bonneville range – the Bonneville Speedmaster. 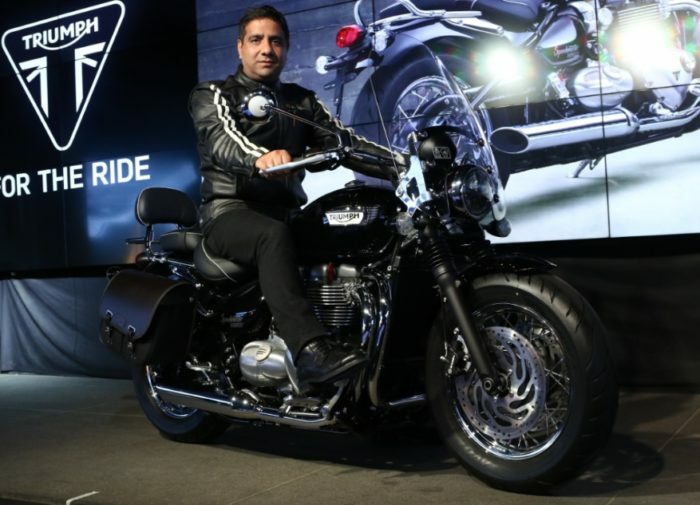 Speedmaster goes onto become Triumph’s cheapest cruiser in the portfolio (under Thunderbird and Rocket), and the costliest Bonneville yet. 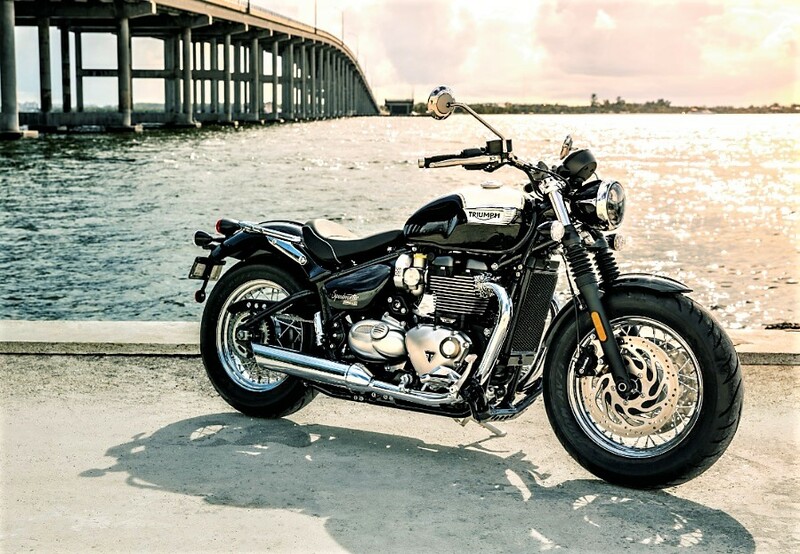 Speedmaster is equipped with the same 1200 cc parallel twin cylinder SOHC engine from the Bobber and produces 77 bhp of peak power at 6100 rpm (up 25 percent as compared to the 2015 Speedmaster and 10 percent more than Bonneville T120) and 106 Nm of maximum torque at 4000 rpm. It comes paired with a 6-speed gearbox. The big change is the increased fuel tank capacity to 12 liters (Bobber comes with a measly tank of 9.1 liters only!). In the feature set, Speedmaster gets ride by wire, twin Brembo disc brakes upfront with standard ABS, all-LED headlamp. 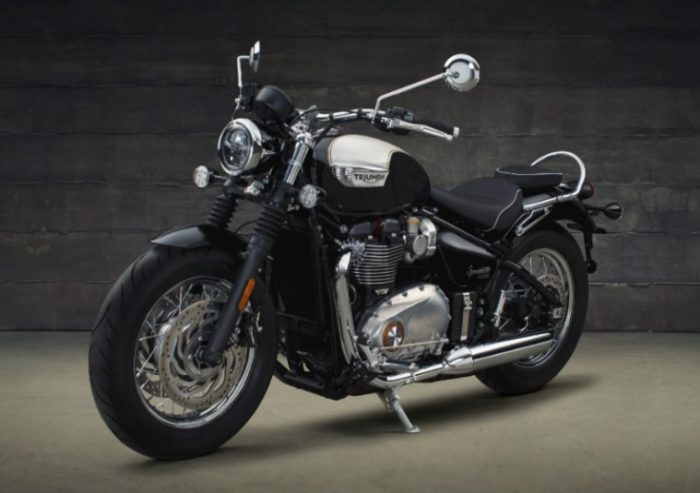 There are two riding modes on offer – ‘Road and ‘Rain’ and for personalisation Triumph is also offering two custom kits – ‘Maverick’ and ‘Highway’. It also comes with a major service interval of 16,000 kms! The Speedmaster becomes the flagship Bonneville in the range. It undercuts the entry Thunderbird by a good 3.30 Lakhs. Triumph’s latest cruiser will fight it out against the Indian Scout Sixty and Harley Sportster 1200 Custom.